Welcome to Smoky Heights in Gatlinburg, Tennessee. 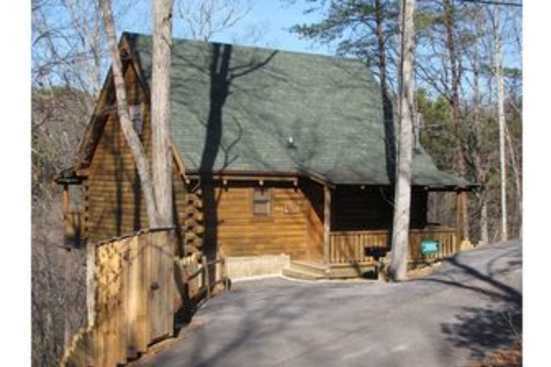 Smoky Heights log cabins are between two and five bedrooms and can accommodate up to twelve adults comfortably. The cabins are located within walking distance of Downtown Gatlinburg and just a short drive to both Smoky Mountain National Park and Pigeon Forge. Amenities include a deck that overlooks a stream, foosball table, outdoor hot tub, and an in-cabin theater room with leather recliners. Activities Near Smoky Heights Cabin Rentals in Gatlinburg TN. Smoky Heights resort area and the surrounding cities and attractions offer ways to have the fun of all shapes and sizes to accommodate groups of all ages. Consider heading into Downtown Gatlinburg (walking distance from our cabin) and checking out their many attractions. While in town in Gatlinburg consider checking out Dollywood. Dollywood is a large southern themed amusement park created and named after famous country musician Dolly Parton. Dollywood offers over forty rides and attractions as well as live performances on multiple stages throughout the day. Dollywood and the surrounding areas also offer a variety of boutique style retail locations sure to satisfy any shopaholic. From souvenirs to handmade arts and crafts at Dollywood and the surrounding area are sure to excite shoppers of all ages. SmokyMountainByOwners.com is the best and most efficient way to book an Eastern, Tennessee vacation. From a drop-down monstrous hill on the Dollywood roller coaster to shopping for handmade goods in Gatlinburg and Pigeon Forge, Smoky Heights and the surrounding area are sure to be an unforgettable experience for groups of all ages. Book now, and we'll see you in the world-famous Dollywood!